ArtReview magazine is widely considered to be one of the most respected and revered contemporary art magazines ever. Every issues purpose is to expand contemporary art’s development and audience. Buy a single copy or subscription to ArtReview magazine. The contemporary art scene is constantly changing therefore, it is nearly impossible to keep yourself up to date about everything important going on. There are countless magazines on stands today which focus on all the world of contemporary art. Making it fairly difficult to find a good contemporary art magazine. Which is why you need to be reading ArtReview, as it’s the most authoritative voice regarding the world of contemporary art. ArtReview magazine is aimed at both a specialist and a general audience. 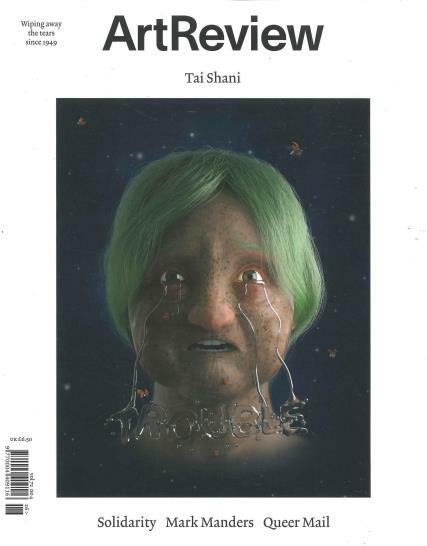 The features of the magazine are a mix of art news and feature articles. Each issue will keep you up to date on the latest exhibitions, new artists and the most influential artworks from across the world.